On my arrival, the children were just finishing their evening meal. 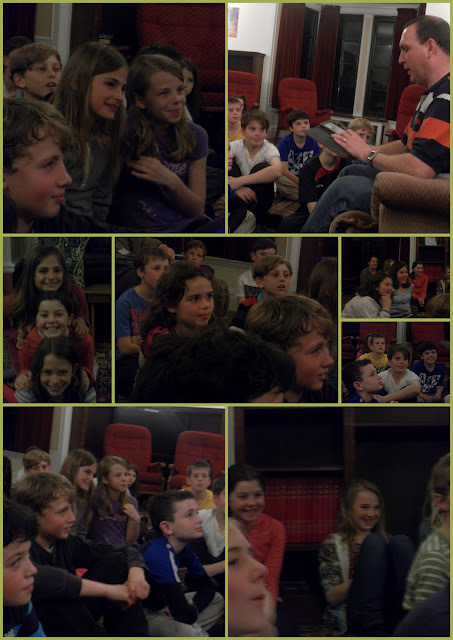 You'll be pleased to know that they are all eating well and have showed remarkable tidying up skills! 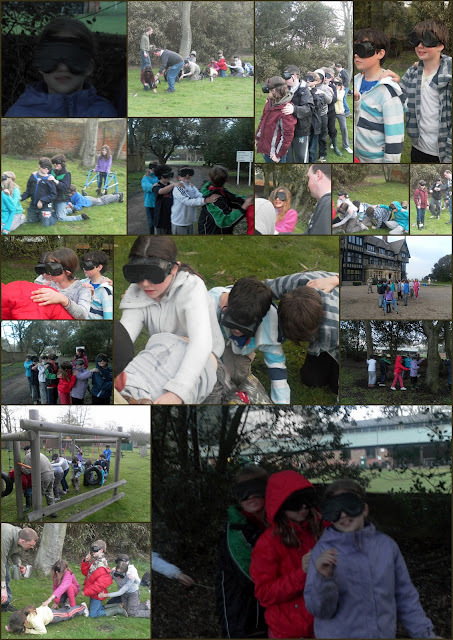 During the evening the children took part in a 'blind trail' where they needed to trust each other and listen very carefully. A good degree of teamwork and hilarity followed. After a hot chocolate it was into the library for Mr Mansell's story time. Tonight was the tale of Winnie the Pooh and the expedition to the North Pole - the children absolutely loved it, but I'll leave it to them to try to describe the numerous voices he used during this epic re-telling! It's great to see them all having such a great time.